Many organizations stick closely to DevOps and Agile metrics and standards for a software delivery model. However, large enterprises have complex software portfolios, which can lead to more complicated barriers to application delivery. Thus, an organization must define and facilitate its specific development value streams to serve the business's key objectives. That is the perspective of Mik Kersten, author of Project to Product: How to Survive and Thrive in the Age of Digital Disruption with the Flow Framework. He believes an enterprise's software delivery framework should principally be a series of steps that ensures value is created for the organization. Kersten is CEO of Tasktop, a value stream management tool provider, and his book provides an outline for how to determine those aforementioned steps. 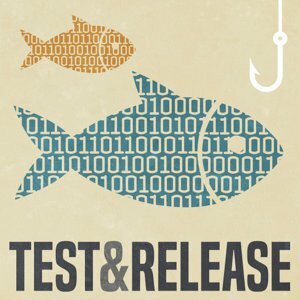 In this episode of Test and Release, we spoke with Kersten about themes related to this book, including where, when and for whom both DevOps' and Agile's limitations arise. "All the [DevOps and Agile] practices are right; the tooling and infrastructure and automation are the right things," Kersten said. But that's not the whole story. After several organizations go through a DevOps transformation, they elect to measure everything by proxy metrics, like the number of deploys per day, he said. However, a software delivery model that only uses such metrics provides no way for a business to know if it receives value from processes as quickly as it should. Kersten articulated how he thinks software organizations with multiple products and many different kinds of specialists should find bottlenecks. Plus, why startups -- and open source projects -- don't face the same software delivery model issues as classic enterprise IT. Kersten elaborated about what developers and testers would supposedly get out of the value stream metrics he proposes, as well as the role the latter professionals should play in an organization's ideal workflow. What metrics does your organization use in its software delivery model?